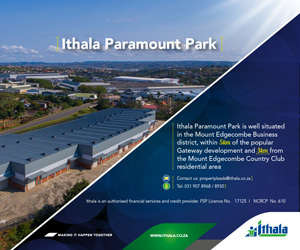 One of South Africa’s leading office and industrial real estate consultancies, Knight Frank South Africa, has rebranded to Galetti Corporate Real Estate after concluding an investment deal with black-owned private equity business, Symmetry Capital Partners. Lease-back sales are fast gaining traction in the South African marketplace, now a preferred option for many commercial and industrial property owners and an increasingly popular component of company financial management. Big box warehousing typical of a number of new industrial builds either in the pipeline or currently underway, are proving to be a popular choice for companies looking for efficient storage options. The on-going development of shopping centres and property developments continues to attract business interest in the city of Pretoria. JSE-listed Capital Property Fund foresaw an opportunity when it acquired Clairwood Racecourse to convert it into a warehousing and logistics park, according to Galetti Commercial and Industrial, the brokerage firm that negotiated the transaction.